Be spiritually independent enough that your relationship with the Savior doesn’t depend on your circumstances or on what other people say and do. Have the spiritual independence to be a Mormon—the best Mormon you can—in your own way. Not the bishop’s way. Not the Relief Society president’s way. Your way. Have the spiritual independence to be a Missionary—the best Missionary you can—in your own way. Not the mission president’s way. Not the stake president’s way. Your way. 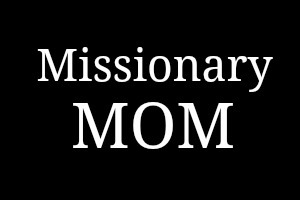 Our son has a new mission president who has wrought a lot of changes in his mission. Some are long-overdue reminders of rules the missionaries have committed to follow for two years but have slackened in their observances. Some changes are unique to this mission president’s perspective and life experiences. When I suggest that you be a missionary in your own way, I am not suggesting that you disobey counsel from your mission president. Instead, I am asking you to step away from the comfort zone of check-list missionary work. It is challenging to follow mission rules. It is hard to get up on time and stick to the schedule day in and day out. But, even more challenging, is to bring yourself fully to the Lord’s work. Everything that makes you, YOU. Think about it. YOU were called to serve in this specific mission for a purpose that is all your own. If the Lord wanted a programmed robot to fulfill these responsibilities, trust me, He’s GOD, He could make that happen. The Lord wants you, with all of your imperfections, unique talents, and individual testimony. Taking the steps to be fully yourself on your mission will take courage. Standing on our own spiritual knowledge is frightening. President Nelson said, “I implore you, to increase your spiritual capacity to receive revelation.” Our prophet wants us to receive personal revelation so that we are able to stand on our own during life’s deciding moments. Shocking how hard it is to step away from the safety of hiding in a leader’s shadow. If we stay quivering in the shadows cast by our leaders, then we never get to stand tall in the sunlight—stretching ourselves to our fullest height. So. What is it holding you back? 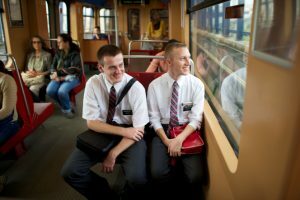 Do you fear the rejection/ridicule of your companion/other missionaries if you somehow do this whole “missionary thing” wrong? Do you fear being labelled a “try-hard”? Let’s take a look at someone who faced a great deal of persecution: Joseph Smith. 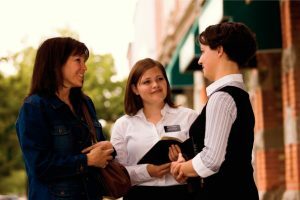 Ask the Lord what kind of missionary He would have you be—then go out and BE that missionary. What divine attributes have you been given as His son or daughter? Use those gifts the Lord has given to you as you serve. How much stronger could we face the adversity of rejection/ridicule of others if we simply remembered who God has told us we are. Those quiet moments when His Spirit whispers to us of our divinity. Too quickly, we forget those moments in the face of mere mortal rejection. Pray to know who God wants you to be. Then go out and BE that person, that missionary. The Lord needs us to receive personal revelation and to be brave enough to act on that revelation. We are living in the last days, let us step up and BE the children of God that His other children need us to be. You can be excellent in every way. You can be first class. There is no need for you to be a scrub. Respect yourself. Do not feel sorry for yourself. Do not dwell on unkind things others may say about you. Polish and refine whatever talents the Lord has given you. Go forward in life with a twinkle in your eye and a smile on your face, but with great and strong purpose in your heart. Love life and look for its opportunities, and forever and always be loyal to the Church.